Whenever I send out one of my author newsletters, I always include some kind of cute, fun giveaway. Usually the giveaway relates to whatever my most recent book is about, or I put together a collection of pretty items with a holiday theme. But in January, I was informing my newsletter subscribers about my Harlequin Online Read, Safe with the Rancher, which is about a woman who decides to face down her stalker. What was I going to give away to celebrate that? Mace? Self defense classes? I couldn't think of anything cute and fun. And as for holidays... the newsletter was going out during inauguration week. And after such a difficult election, after so much division in our country, I was having trouble celebrating that. But then the inauguration gave me an idea. I wanted to offer a giveaway that could help heal some of those divisions. Something that might inspire people to reach out a hand of friendship to someone else. 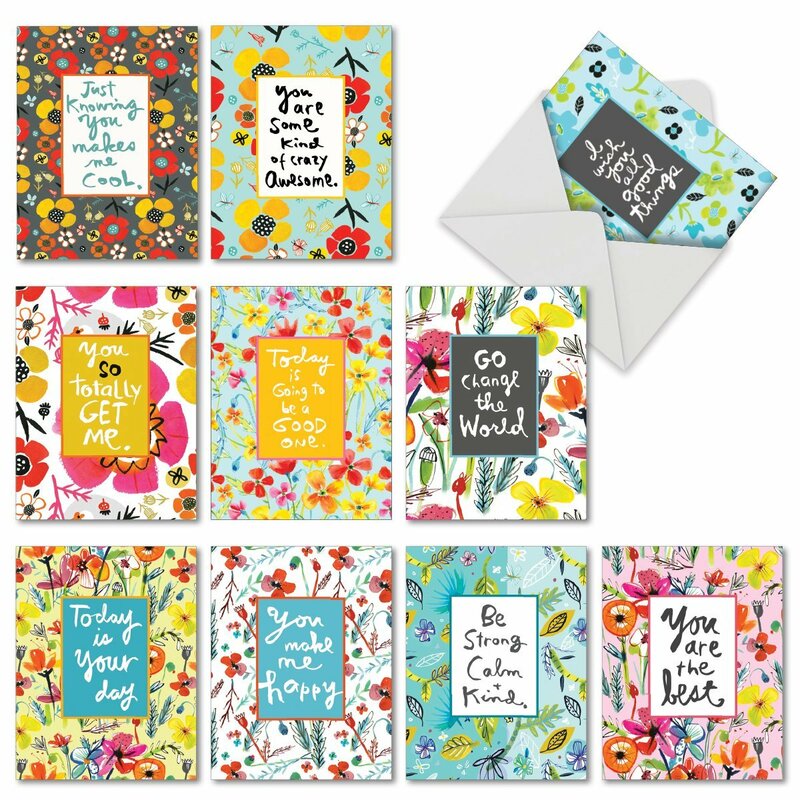 So I found these wonderful greeting cards, meant to be sent to friends, that are so pretty and have such sweet messages on them. I didn't know what my newsletter subscribers would think of this giveaway, since it was a lot less elaborate than my usual newsletter goodies. But I explained that I wanted to spread love and friendship, and strengthen my community this year, and that these cards seemed like a great way to start. Well, it turned out that I wasn't the only one wanting to send love and friendship out into the world! I received many more giveaway entries than I normally do, and there was something very special about them. Usually, when I offer a newsletter giveaway, I get a bunch of simple email responses that say something like, 'Please enter me in your giveaway.' Which is fine. Totally what I expect to get. But this time I didn't get too many of those. Instead, almost everyone wrote me a personal note. And in their notes, they shared what was in their hearts. Some people just really loved the cards, and appreciated the sentiment behind the giveaway. But many people told me that the election had caused divisions in their community of family and friends that they wanted to heal. Or that they were worried about a friend or a loved one, and wanted to make sure that person knew they still really cared. Mostly, people said they wanted to spread love and happiness, because there just isn't enough of it in our world right now. I was so touched by these emails. So honored that people would share their worries and hopes with me, and that so many people wanted to spread goodwill around. One lucky winner got the cards, and I wished I had more to give away because there was so much interest in them. 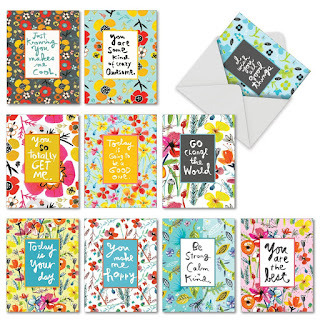 But I also know that it's very easy to find nice, inexpensive cards. 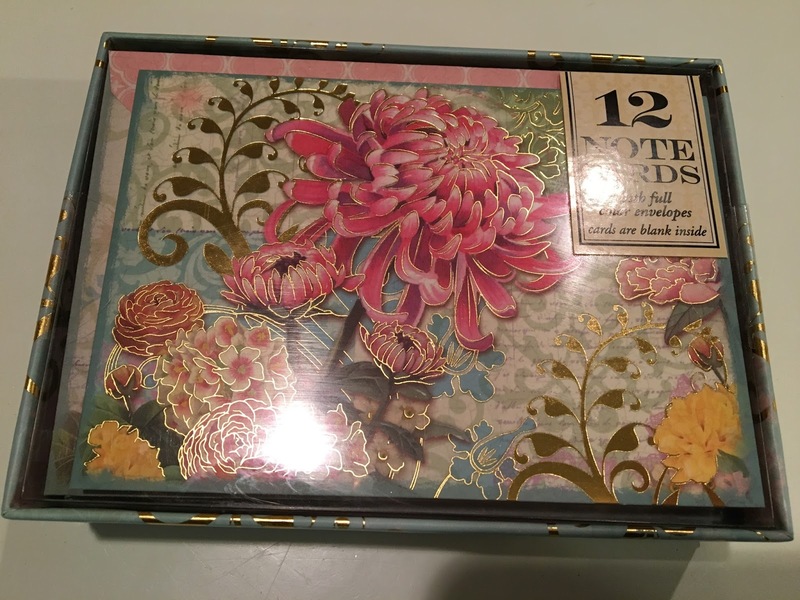 I always check the stationary section at Target, and I've also found them at Marshall's, Ross, and other discount stores. I enjoy cards so much that I've ended up with a bit of a collection. Here are a few of my favorites. You can see I have a bit of a bird, flower, sparkly obsession going on! I hope you'll consider sending some love and friendship out in to the world. 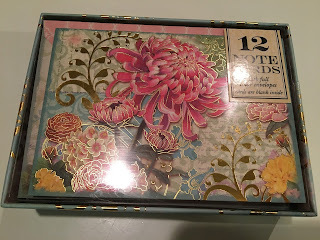 And to help you along, I have an extra box of these sweet flower cards to give away to one person who comments. So please share with us how you reach out to friends and family, and thanks for stopping by today! 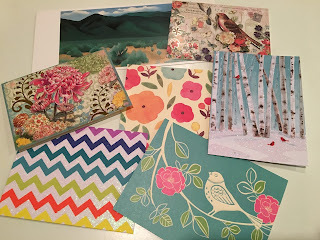 Greeting Card Giveaway! Just leave a comment to enter! P.S. If you'd like to sign up for my newsletter, to get my latest news and be a part of the giveaways, just head on over to my website and you'll see the sign-up form on the right side of the page. I send my newsletter out about four times a year. Hi Laney! Wow! That sounds like a huge project, and probably frustrating at times, but how absolutely amazing! What an incredible gift, full of love, for her. And it's a gift for everyone who contributes as well, because I'm sure it will help them connect with her. I hope the rest of it goes smoothly. Thank you so much for sharing this idea! Claire, what a wonderful thing to do, and for such a heartfelt reason. No wonder you are such a gifted author: it's all coming straight from the big loving heart of yours. Love this. I already subscribe to your newsletter and remember that, I'm glad so many people took advantage of your offer. I sent a bunch of snail mail cards one day last week. Some were birthday, some were thank yous, and a few were just "I'm thinking of you today." Aw... Kris, thank you! I think we all need to get our hearts out on our sleeves these days because there is way too much unkindness out there right now! Hi Pailofpearls! Thanks so much for subscribing to the newsletter. It really was so nice that people were excited about that little giveaway! And hi dstoutholcomb. That is great that you sent out cards. I know how much I love it when someone sends me something, especially nowadays when so much comes to us through email and text and things. I bet the recipients felt their hearts lift when they saw the envelopes. What a good experience for you, and your readers too, Claire. The romance world is a positive, warm-hearted community! This is just not done so much anymore - most is done totally online anymore through social or email - however with the recent death of my Dad it has been wonderful to receive many cards of condolence in the mail!